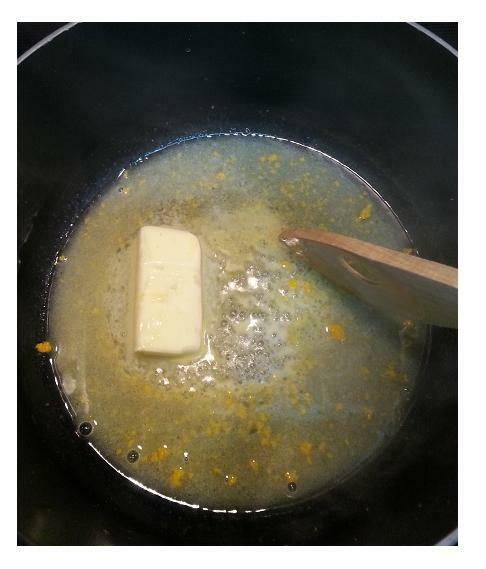 Place the butter in a small pot and cook on high to melt. While the butter is melting, zest the skin of the mandarin orange into the pot with the butter. Then slice the orange and squeeze the juice into the pot as well. Place your white chocolate in a bowl, preferably ceramic to hold the temperature, and microwave for about 30 seconds to start the softening. 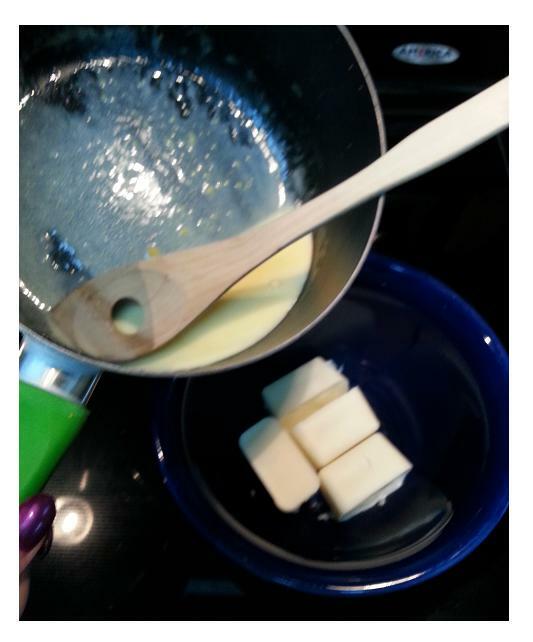 Once the butter has melted and the contents of the pot are bubbling, add the heavy cream and scald. Pour the hot contents of the pot over the chocolate in the ceramic bowl. Allow this to sit for 5-10 minutes to soften the chocolate then whisk the contents so the chocolate is completely melted and all the contents are mixed thoroughly. 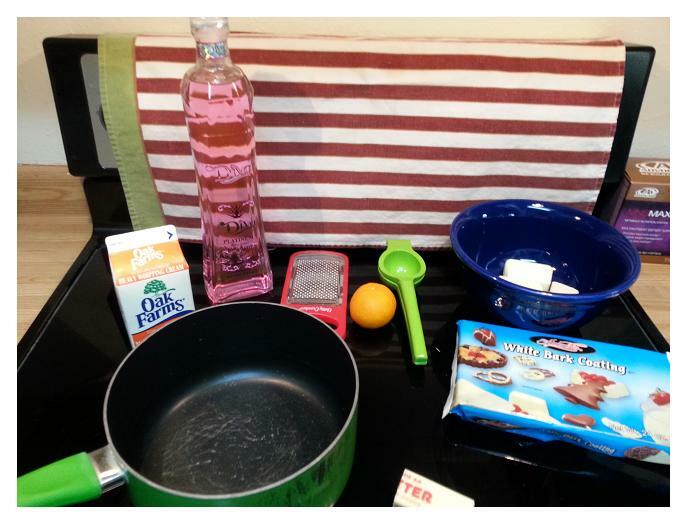 Add Diva Tequila to the contents of the bowl and whisk again. Set the bowl in the refrigerator to begin the setting process. Every 15 minutes, whisk the contents together again as they may separate as they cool. After about an hour of cooling, this should have the consistency of fudge. This is the truffle filling. Remove the filling from the refrigerator and prepare to work quickly. Scooping one tablespoon of filling at a time, roll it into a ball and place it on a freezer-safe plate. Do this with all the filling. When you’ve finished, cover with plastic wrap and freeze until solid (about an hour). When the filling is frozen, place your 8 ounces of milk or dark chocolate in a microwave safe bowl and microwave in 15 second intervals, stirring well each time, until it is melted. Be sure not to microwave it too long as it will burn. Make your own @Diva_Tequila Truffles for your holiday party. 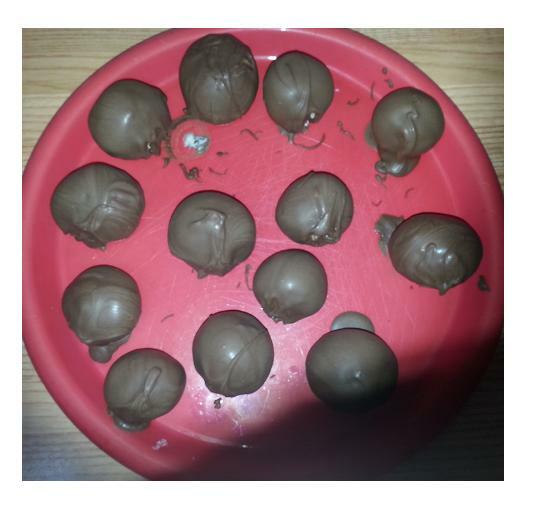 Remove the balls of filling from the freezer and, using two forks, roll each ball through the melted chocolate to cover it completely. (This can get messy if you don’t work quickly.) Let the excess chocolate drip off and then place on a freezer-safe plastic plate or a plate covered with wax paper. Before the chocolate shell has set, you may choose to garnish with a sprinkle of colored salt, a twist of orange, a dusting of cocoa or confectioner’s sugar. Once the chocolate shell has set, you might also garnish with a bit of melted white chocolate, piped through a pastry bag. 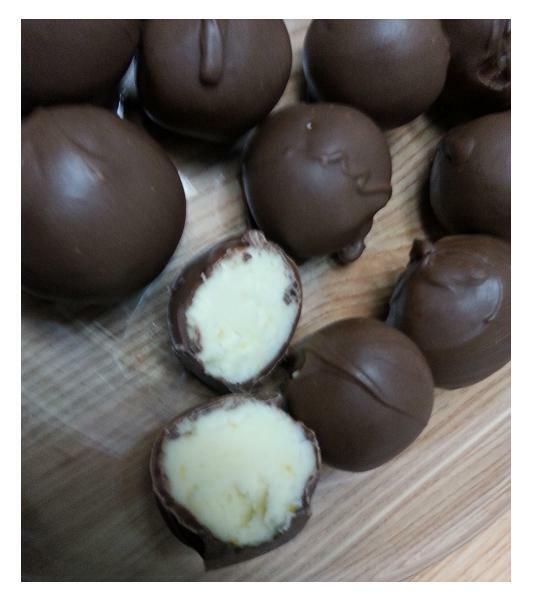 When all the truffles have been coated, place the plate in the freezer again for about 10 minutes or just until the chocolate coating has set completely. Remove your truffles from the freezer and store at room temperature in an airtight container. Serve/eat within a few days for best flavor.